Ben Stanford looks at the results of the voter ID pilot scheme used in the 2018 local elections in England and the potential implications of a national roll-out. He concludes that, given the current levels of voter apathy, such fundamental reforms may end up discouraging even more individuals from voting. Pursuant to the government’s stated aim of combatting electoral fraud, a pilot scheme was carried out in the May 2018 local elections in England which required voters in five areas to present some form of identification when voting at polling stations. The proposals attracted much criticism, primarily from opposition political parties and campaigning organisations, amidst concerns that some voters would be disenfranchised and that certain groups would be disproportionately affected. Although the practice is relatively uncontroversial in Northern Ireland where identification has been required since 1985, experience from the USA suggests that women, the young and elderly, ethnic minorities, as well as the least well-off in society face significant burdens in obtaining identification. Despite advocating voter identification, the Electoral Commission has warned that several million voters in the UK could be disenfranchised if strict photographic identification was required. In light of these concerns and the pilot results, it is clear that further research and greater safeguards are needed before a national roll-out of voter identification requirements should be considered. The five participating areas each imposed particular identification requirements on 3 May 2018. Voters in Watford and Swindon were required to produce their polling cards which contained a unique barcode, but other photographic identification was accepted as well. The requirements in Bromley, Gosport, and Woking were more stringent, as voters were required to produce specific identification, or alternative approved identification if necessary. Turning to the results of the pilot scheme, initial reports (later confirmed by the Electoral Commission) suggested that turnout increased in Swindon and Watford, when compared to the 2014 local elections when the seats were last contested. However, turnout decreased in Bromley, Gosport and Woking. Whilst the factors that affect voter turnout are undoubtedly complex, it will be useful to briefly consider some of the most significant and immediate factors that may have accounted for the fluctuations in voter turnout between 2018 and 2014. Firstly, as voter turnout has traditionally been poor in local elections in the UK in comparison to general elections and referendums, a decrease in turnout in areas with stringent identification requirements might naturally be expected. Secondly, the local elections in May 2014 were held simultaneously with the European Parliament elections, in contrast to May 2018 which only covered local elections, so a higher voter turnout in 2014 might again be expected. Thirdly, there are growing concerns that ‘voter fatigue‘ may lead to a decrease in voter turnout. Looking at the electoral history across the five areas since 2014, voters in Bromley, Gosport, Swindon, Watford and Woking have been regularly polled, on a yearly basis in some areas, in various local, county, and mayoral elections; the 2014 European Parliament elections; the 2015 and 2017 general elections; the 2016 police and crime commissioner elections; and the 2016 EU referendum. On the other hand, the publicity drive to raise awareness about the identification requirements in the five areas was significant. According to the Electoral Commission, 86% of people who voted in polling stations were aware of the need to bring identification. As such, the enhanced efforts to inform voters about the need to bring identification, and therefore of the election itself, may account for a small increase in voter turnout in the 2018 local elections. However, the most controversial and arguably the most significant statistics concerned the number of voters refused a ballot paper for failing to produce the required identification. Initially, based upon their observations at polling stations, the organisation Democracy Volunteers estimated that 1.67% of all voters across the five areas were initially turned away for failing to produce the correct form of identification, although statistics are not known about how many of these individuals later returned with the correct identification. Based upon this figure, the Electoral Reform Society estimated that almost 4,000 voters in total had been turned away at polling stations. These figures have, however, not been supported by the official statistics subsequently released by the five participating councils and the Electoral Commission. In the areas where voters were required to produce their polling cards, 25 voters were turned away and did not return in Swindon (representing 0.06% of all who voted), whereas in Watford the figure was higher at 66 (representing 0.2% of all who voted). In the areas where specific identification was required, 154 voters were turned away and did not return in Bromley (0.2% of all who voted), whereas the figures were 54 in Gosport (0.4% of all who voted), and 51 in Woking (0.3% of all who voted). As such, a total of 350 individuals who attempted to vote in the five areas were unable to for failing to produce the required identification. These figures do not, of course, account for those voters who simply stayed away from polling stations on the day due to their lack of ID. On the face of it, these figures may seem trivial and dispel some doubts about the potential risk of widespread disenfranchisement. However, these results are more alarming if a similar proportion of voters were, hypothetically speaking, rejected when attempting to vote in the 2016 Referendum on the UK’s membership of the European Union, in which 28,455,402 votes were cast in England alone. Taking the official statistics from the voter ID pilot scheme at face value, assuming that 0.06% of all voters (at best) would have been unable to present the required identification and did not return, this would mean that over 17,000 individuals in England may have been rejected at polling stations in the referendum. At worst, assuming that 0.4% of all voters would have been unable to present identification and did not return, almost 114,000 individuals in England may have been rejected. Looking at it another way, the smallest majority currently enjoyed by a sitting Member of Parliament is just 2 votes (North East Fife), and so it may be argued that when the stakes are so high, one person being denied their right to vote is one person too many. Whilst government ministers have been quick to herald the pilot scheme as a success and pledge to facilitate further pilots in 2019, doubts have also been expressed about the pertinence of drawing any definitive support from the 2018 pilots for a national roll-out in the future. The primary recommendation from the Electoral Commission’s recent evaluation is that the government should ensure that a wider range of local councils run pilot schemes in the 2019 local elections, due to the lack of diversity in the five areas that participated in the 2018 pilots. In that regard, it is imperative that the next round of pilots includes areas in Northern England and the Midlands; areas with a greater proportion of ethnic minorities; university towns and cities; and areas with high unemployment rates. If the government is determined to press ahead with the introduction of compulsory identification requirements, it cannot credibly do so by pointing to the outcome of the 2018 pilot scheme alone. Ultimately, at a time when voter apathy amongst the public, and young people especially, is consistently highlighted as a real cause for concern, it might be argued that the government should not be considering such fundamental reforms, however well-intentioned the rationale may be, in response to what is a relatively insignificant problem and in a way that may in fact discourage or even thwart individuals from voting. Note: The above draws on the author’s article ‘Compulsory Voter Identification, Disenfranchisement and Human Rights: Electoral Reform in Great Britain’ (2018) 23(1) European Human Rights Law Review 57. The author would like to thank the Society of Legal Scholars for making an award from its Research Activities Fund to allow him to undertake further research in this area. This article gives the views of the authors, not the position of Democratic Audit. It was first published on LSE’s British Politics and Policy blog. 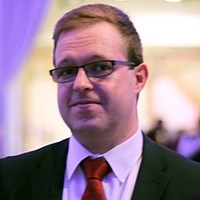 Ben Stanford is Lecturer in Law at Coventry University. Audit 2017: How strong is the democratic integrity of UK elections? Are turnout, candidacies and participation maximised? As a Watford voter I consider this to have a been a worthwhile voting experiment without excessive requirements.